The Associated Press (AP) just published a report that looked at the first few weeks of Media Matters’ Stop Hannity effort and discussed the effect it’s having on Sean Hannity’s advertisers. In August, Media Matters launched a Stop Hannity advertiser education effort. Hannity isn’t just a partisan talking head with a television show. He’s a full-blown propagandist and has been exposed for actively coordinating with the Trump administration to promote President Donald Trump’s interests, even if that means lying to his own audience. 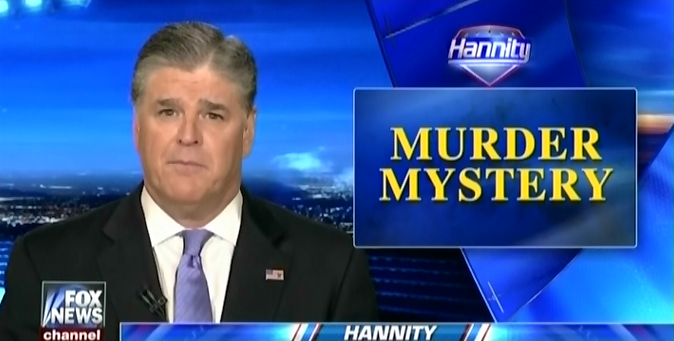 Hannity aggressively promoted the conspiracy theory about the murder of Democratic National Committee staffer Seth Rich -- which happened to help deflect attention from a negative storyline about Trump -- even after Fox had retracted its own story. Aside from peddling conspiracy theories, Hannity has also echoed the president’s defense of the neo-Nazis and white supremacists at a Charlottesville rally. And he has practically made Trump’s personal lawyer in the Russia investigation a co-host on his Fox News show, Hannity, by regularly bringing him on to undermine the rule of law and promote attacks against the president’s critics. In effect, Hannity is functioning as state-aligned programming. And advertisers that sponsor the program are financially supporting his political chicanery and Trump’s political interests. Additionally, Media Matters has warned that sponsoring Hannity is just bad business because he is volatile and Fox News is unwilling to apply any standards to his program at all. Hannity’s volatility is forcing advertisers to make a business decision on whether to leave or avoid his show. His volatility is, in part, why Media Matters has decided not to publicly release the names of the dozen or so advertisers that have chosen to drop him. 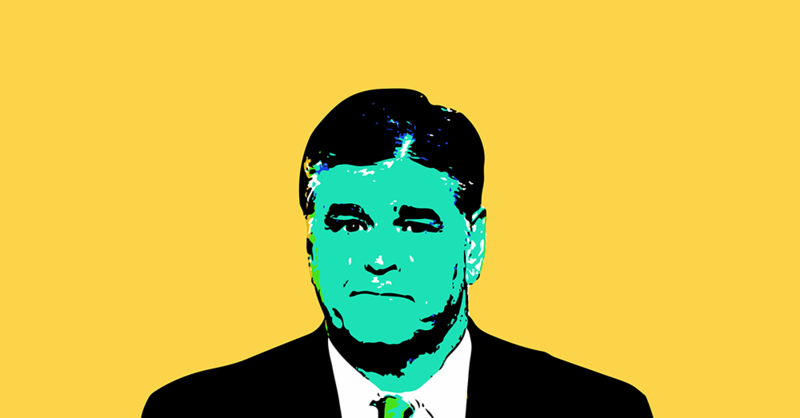 Notably, when asked by the AP, Fox News did not deny that advertisers were in fact leaving Hannity’s show; instead, the network declined to comment. Media Matters said some dozen advertisers have told the organization they will not purchase commercials in Hannity’s show in the future; some have current contracts and are staying put until those commitments are completed. Boycott efforts frequently go nowhere, but Carusone’s track record made this one worth watching. He was involved in trying to get advertisers to back away from Bill O’Reilly this past spring, following reports of settlements made in sexual harassment cases against him. Advertisers, and Fox, quickly abandoned him. Prior to that, Carusone helped persuade advertisers to stay away from Glenn Beck’s Fox News Channel show. That effort took more than two years, but Beck’s show was slowly choked to the point where it had too few advertisers to be feasible financially. That’s the methodical strategy he’s employing with Hannity, trying to convince media buyers and companies that the show is too controversial for their products.